/ Modified jun 16, 2017 11:47 a.m. 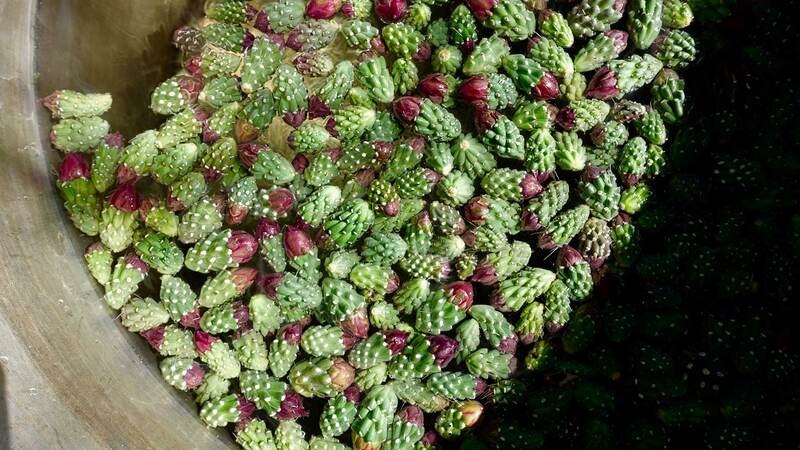 This week we learn to harvest cholla buds, speak with expert Gary Nabhan and visit an urban farm that's doing a lot more than growing vegetables. 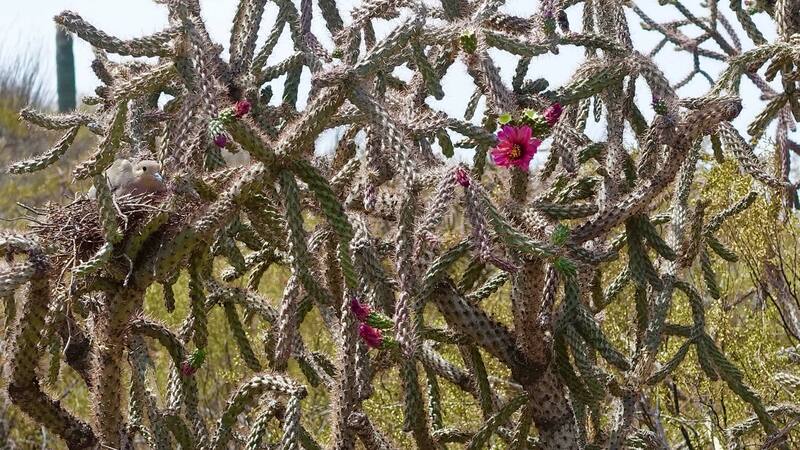 A dove nests in a cholla cactus. The blossoming of Tucson’s foodie scene in recent years, and its designation as a UNESCO World City of Gastronomy, has raised interest in the city’s rich agricultural history and native food lineage. 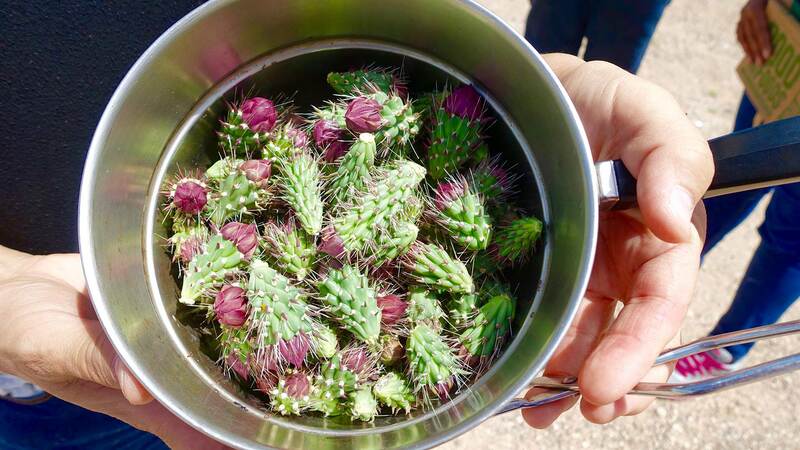 This week, Arizona Spotlight heads outside to learn how to forage for one food that the Tohono O'odham people have eaten for many generations, and that itself is going through a culinary renaissance: the cholla bud. We also visit the San Xavier Coop Farm to learn how buds are processed for consumption. A conversation with Gary Nabhan, an expert on desert harvesting, whose titles include nature writer, ethnobotanist and founding director of the Center for Regional Food Systems. 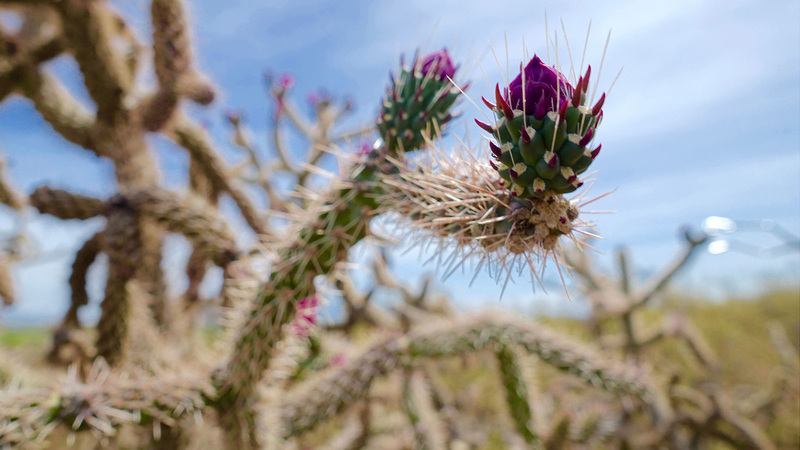 A cholla bud, ready for harvest. Recently harvested cholla buds simmer over a mesquite campfire on the San Xavier Coop Farm. 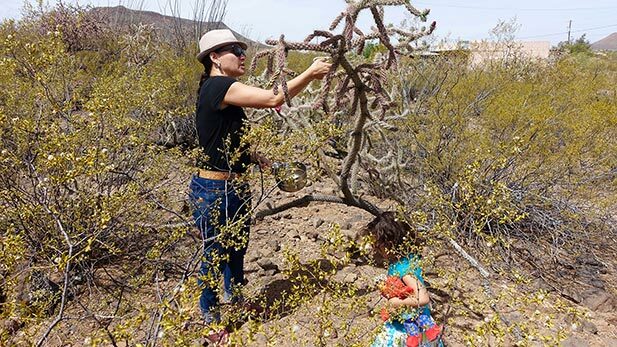 Traci Hamilton and her daughter Tonalli forage for cholla buds on the Tohono O'odham reservation.